I like the idea of representing stories or songs with food but I think that I have only made a few. 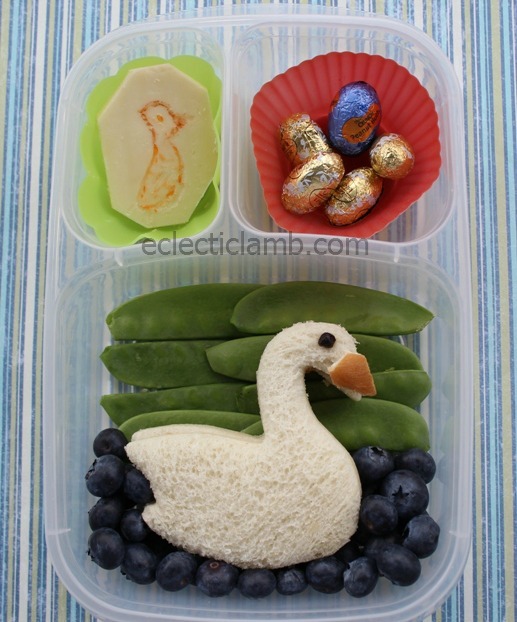 This Ugly Duckling themed lunch based on the story by Hans Christian Anderson has been on my to-do list for awhile. If you are interested in swam themed meals see this one I made a in 2012. 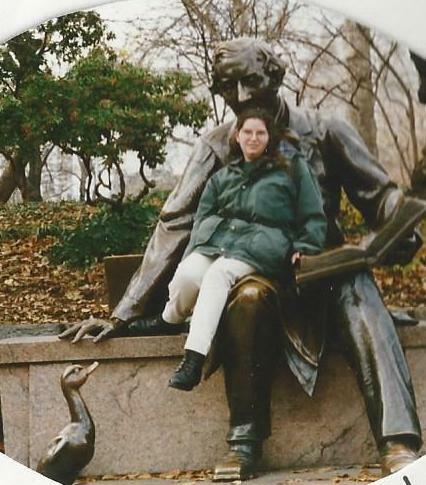 This photo with me and Hans was taken many years ago in Central Park, NYC. I don’t know about that but thank you for the complement. I like the approach of “illustrating” stories! The details on this one are great. What a cute bento and a lovely picture!! Awww… I love your swan. So cute! Love the idea! Looks very pretty. I love this, such a beautiful depiction of the story!